Sunset West Plumbing & Rooter offers maintenance work to make sure the plumbing on your property is always working as efficiently as possible. If you are looking for preventative maintenance in Bel Air or West LA, contact us today! Our team has the best solutions for every plumbing problem they come across. We offer monthly inspection programs for regular maintenance so you never have to worry about potential leaks or water damage in your home. For more information on this preventative maintenance in West Los Angeles, CA, or any of our service areas, give us a call at (310) 454-2010. We will be happy to answer any questions or concerns you have. Sunset West Plumbing & Rooter has been in business since 1989 and we use the experience we have gained over the years to provide excellent service to customers in West LA and neighboring cities like Pacific Palisades. Video Leak Detection – With the use of a small camera we can see the inner working of the plumbing system and check for any small cracks or debris build up that could cause more conflicts in the future. Gas Lines – It is always a good idea to have gas lines maintained to prevent any dangerous malfunctions. We will look over the gas line system for any noticeable flaws and get them repaired. Earthquake Gas Valves – In the event of an earthquake, the chances of gas leaks occurring can go up significantly. We install and maintain earthquake gas valves that will shut off automatically during a high magnitude earthquake or a significant amount of gas starts leaking from the line. Water Purification & Filtration – A little maintenance can go a long way in keeping the water supply in your home free from minerals and debris. If you are looking for installation of water purifiers or water softeners in West LA or Beverly Hills, contact our plumbing team today. Sewer Line Cleaning & Repair – Getting a sewer line inspection done is a great preventative measure to guard against leaks and potential flooding. We will use a small camera for a quick and convenient assessment that doesn’t require tearing up your property to get to the pipeline. If any leaks or weak points in the pipes are found we will discuss the best options with you for repairing the pipe according to your budget. Sunset West Plumbing & Rooter is determined to give all of our customers professional quality plumbing solutions. 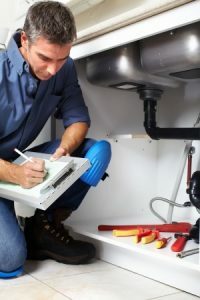 For more information on our preventative maintenance procedures or any other of our plumbing services, give us a call today at (310) 454-2010. Updated on June 22, 2016 at 3:54 pm by Sunset West Plumbing & Rooter.